On Your Marks Herald – 12-12-12! Many kind words were spoken about Anne Keenan-Buckley after Sunday’s superb performance by the Irish senior women’s team at the European Cross-Country Championships – and quite rightly. Keenan-Buckley’s commitment, drive and ability to get athletes working for each other built the foundation for Sunday’s wonderful double gold. When she felt forced to resign, another brilliant coach in the person of Teresa McDaid was available to take over. How lucky was that team! Is it coincidence that both these smart, subtle coaches happen to be female? Is it chance that most of our most successful athletes of the past 20 years happen to be women? 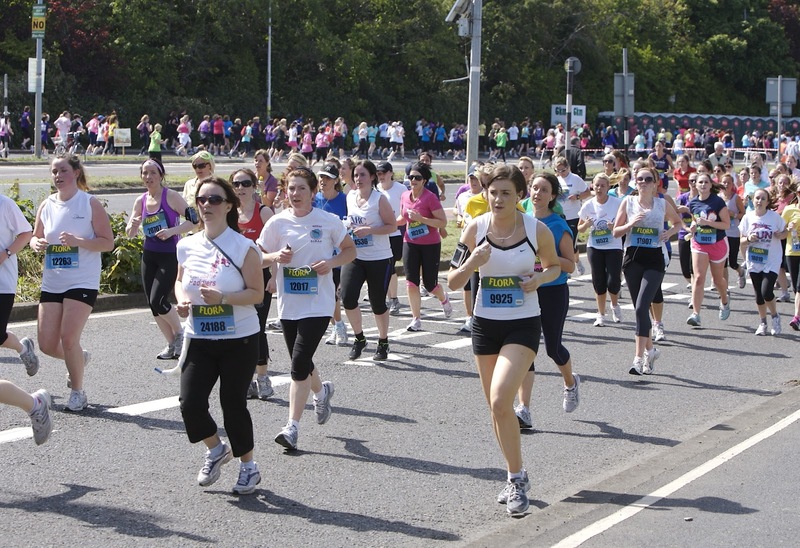 In Ireland, a culture of women running has taken a solid grip on the public imagination, thanks to the huge success of the Women’s Mini Marathon. Children these days grow up with a mother, aunts and maybe even a grannie who all take their regulars runs for granted. While the lads play football, the women run – especially those that live in cities. Women like Christina Kennedy, triathlon pioneer Ann Kearney and the still active Annette Kealy went on to make Irish teams after they were inspired to take up running by the mini marathon. They were the pioneers. Next came Sonia and Catherina; now we have a third generation including Linda Byrne, Ava Hutchinson, Lizzie Lee, Sara Treacy (whose mother Siobhan was an international athlete) and, of course, Fionnuala Britton. Every woman on the Irish team last Sunday knew what they had to do. As Lizzie Lee put it, they had to race for each other and not against each other. Despite coming from a variety of clubs and coaches, they put their differences aside and ran their hearts out for the team. Men and women all over the country were celebrating their gutsy performance last Sunday; it put a smile on everyone’s faces. So here’s the thing. With women so prominent in the sport, why has Athletics Ireland never had a woman president? Why were the likes of Keenan Buckley and McDaid overlooked for the high performance job when it came up? Why aren’t some of our very capable female administrators given more responsibility? Women are quietly producing the results – and they do it without looking for budget-busting salaries. John Treacy – are you listening? Sligo AC’s Dermot McDermott, well known not just as an athlete but as a coach and organiser, was a popular winner of the men’s race at the National Novice Cross-country in Adamstown, Co Wexford, beating his training partner Ray Hynes of Crusaders. McDermott is currently working at the long-awaited indoor athletics arena in Athlone which will be ready for action in the New Year. Laura Crowe of Riocht, a newcomer to cross-country this season and eighth in the recent intercounties, was a convincing winner of the women’s race. Finn Valley proved best of the men’s teams, with Dublin clubs dominating the women’s result – Crusaders was first followed by Donore and Sportsworld. Gary O’Hanlon of Clonliffe won the Clonakilty Marathon in 2 hrs 30 mins, with his Clonliffe team mate Sergiu Ciobanu first in the half marathon. Supervet Mary Sweeney of St Finbarr’s was first woman in the marathon. Over 2,000 took part in the three races on offer (see the Cork running blog for opinions on the race…) . At the Aware 10km in Dublin’s Phoenix Park, members of Raheny Shamrock were out in force with Mick Clohisey the winner in 31 mins 7 secs, followed by clubmates Cillian O’Leary and Ian Conroy and Fiona Roche the first woman in an eye-catching time of 34 mins 59 secs. Phil Kilgannon won the Vodafone BHAA 5km C-C in Marlay, beating Kevin English and Clyde Dunne with Sarah Mulligan first of the women. Dublin BHAA running now takes a break until January 5 when the South Dublin County Council Cross-Country takes place in Tymon Park. Big road race of the weekend is Sunday’s ERP Clonliffe Christmas Cracker 5km around the roads of Santry on Sunday. This is a race with a particularly interesting angle for this time of year. Bring along a used battery-operated or electrical appliance or ten used batteries and you’ll be entered in a draw for a Samsung LCD TV, a Sony MP3 Player or a portable DVD player, courtesy of sponsors the European Recycling Platform. Online entry is €15 (plus €1.13 handling charge); entry on the day €25.